Zendesk, a software as a service (SAAS) company that specialises in helping companies’ customer care operations, announced earlier this year that they will be creating 300 new jobs at their Dublin offices. The company was founded in Copenhagen 10 years ago and has grown massively since then. With six products and over 100,000 customers worldwide, it has come a long way. Zendesk now offers a voice channel product, chat services, data analytics products, content management products and a number of others, though their customer support product is still their main one. “All of these products are integrated to make it much easier to address all of those customer support needs,” Twomey said. Zendesk operate with all manner of companies, large and small around the world. This is why they have offices across Europe, Asia, Australia and the United States. Zendesk set up offices in Dublin 5 years ago and currently have around 200 staff here. Over the next three years they will add a further 300 to that. Although Dublin was initially set up as a development centre, Twomey said they knew that it would eventually become the new headquarters. “We started off with an engineering team, but we do all our mobile development here now too, we have a support team and a sales team as well. So there’s a wide variety of activities here and that’s grown to about 200 people here over the last four or five years,” Twomey said. As one of the main tech hubs in Europe, Twomey said the workforce here makes Dublin the best place for Zendesk to move forward. 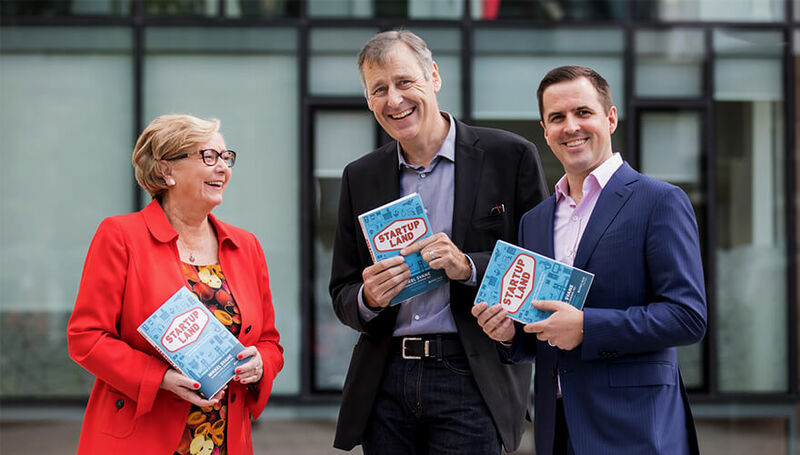 “Based on the success we’ve had in finding the people we need in the right time frame, we’ve doubled down on the investment we have here in Ireland and we really feel like Dublin is the right place for us to continue to grow,” he said. Dublin is becoming an increasingly popular place for start ups to base themselves in, and many foreign companies are making their way over too. He noted that people with experience in Ruby On Rails and Java coding, as well as those with experience in big data will also be useful. “Thirty per cent of our staff here are in sales, so we’ll also be looking for that, and on the support side of things, we’ll look for people with European language skills as well,” he added. There’s quite a unique culture at Zendesk, Twomey said. “There’s a culture of respect, and we provide a good working environment. Everyone has latitude to work the way they want to work. The most important thing for me is that employees are really interested in their work. That attracts and retains talent. We have very low attrition here and I put that down to the fact that these guys are building products from scratch and have full ownership of that from entering the marketplace right down to the revenue,” he said.